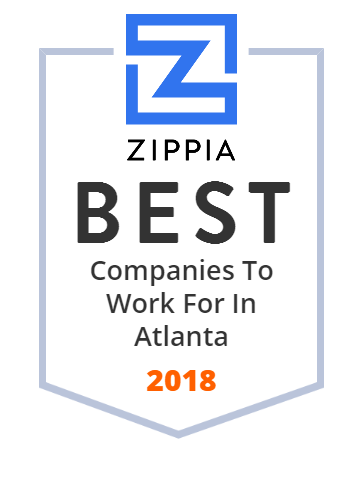 We hand-curated a list of the best companies to work for headquartered in and around Atlanta, GA using data on salaries, company financial health, and employee diversity. Southern Company is an American gas and electric utility holding company based in the southern United States. It is headquartered in Atlanta, Georgia, with executive offices also located in Birmingham, Alabama. The company is currently the second largest utility company in the U.S., in terms of customer base. Through its subsidiaries it serves 9 million gas and electric utility customers in nine states. Southern Company's regulated regional electric utilities serve a 120,000-square-mile (310,000 km) territory with 27,000 miles (43,000 km) of distribution lines. Cable News Network is an American news-based pay television channel owned by Turner Broadcasting System, a division of AT&T's WarnerMedia. The Coca-Cola Company is an American corporation, and manufacturer, retailer, and marketer of nonalcoholic beverage concentrates and syrups. HD Supply, Inc. is an industrial distributor in North America. The company provides a broad range of products and value-added services to approximately 500,000 professional customers in maintenance, repair and operations, infrastructure and power and specialty construction sectors. Invesco Ltd. is an American independent investment management company that is headquartered in Atlanta, Georgia, United States, and has branch offices in 20 countries. Graphic Packaging International, Inc. (NYSE: GPK) is a Fortune 1000 corporation based in Sandy Springs, Georgia, United States. It is a leading company in the design and manufacturing of packaging for commercial products. GPI manufactures paperboard and folding cartons for a wide range of popular consumer goods, particularly beverages and packaged food. The company operates mills in Kalamazoo and Battle Creek, Michigan, West Monroe, Louisiana, Augusta, Georgia , Texarkana, Texas and in Macon, Georgia, that uses recycled municipal wastewater in the manufacture of food grade cardboard and coated paper board. Its President and Chief Executive Officer is Michael P. Doss. Equifax Inc. is a consumer credit reporting agency. Cumulus Media, Inc. is an American broadcasting company and is the third largest owner and operator of AM and FM radio stations in the United States behind Entercom and iHeartMedia, Inc. As of July 1, 2017, Cumulus lists ownership of 446 stations in 90 media markets. It also owns Westwood One. Its headquarters are located in Atlanta, Georgia. Its subsidiaries include Cumulus Broadcasting LLC, Cumulus Licensing LLC and Broadcast Software International Inc..
Delta Air Lines, Inc., often referred to simply as Delta, is a major United States airline, with its headquarters and largest hub at Hartsfield-Jackson Atlanta International Airport in Atlanta, Georgia. SunTrust Banks, Inc., is an American bank holding company. Novelis Inc. is an industrial aluminum company, headquartered in Atlanta, Georgia, United States Novelis is a leading producer of rolled aluminum and the global leader in beverage can recycling. The company serves customers in sectors including beverage cans, automotive, consumer electronics, construction, foil and packaging. Intercontinental Exchange (ICE) is an American company that owns exchanges for financial and commodity markets, and operates 12 regulated exchanges and marketplaces. This includes ICE futures exchanges in the United States, Canada and Europe, the Liffe futures exchanges in Europe, the New York Stock Exchange equity options exchanges and OTC energy, credit and equity markets. Gentiva Health Services, Inc. provides home health, hospice, and community care services in the United States. The company's Home Health segment provides direct home nursing and therapy services, including specialty programs. This segment offers skilled nursing and therapy services and paraprofessional nursing services to patients through licensed and Medicare-certified agencies. Its specialty programs include Gentiva Orthopedics, which offers individualized home orthopedic rehabilitation services to patients recovering from joint replacement or other orthopedic surgery; Gentiva Safe Strides that provides therapies for patients with balance issues; and Gentiva Cardiopulmonary, which helps patients and their physicians manage heart and lung health in a home-based environment. This segment s specialty programs also comprise Gentiva Neurorehabilitation, which helps patients who have experienced a neurological injury or condition in the patient s home; and Gentiva Senior Health that addresses the needs of patients with age-related diseases and issues. As of December 31, 2013, it served customers through approximately 310 locations located in 38 states. Its Hospice segment provides hospice services primarily in the patient s home or other residence, such as an assisted living residence, nursing home, and in a hospital. This segment serves terminally ill patients and their families through approximately 210 locations operating in 30 states. The company's Community Care segment serves patients who have chronic or long-term disabilities who need help with routine personal care through approximately 30 locations in 5 states, including Texas, Missouri, Oklahoma, North Carolina, and Kansas. This segment s services include help with personal needs, such as bathing, dressing, laundry and shopping. Gentiva Health Services, Inc. was founded in 1999 and is headquartered in Atlanta, Georgia. Gentiva Health Services Inc. operates as a subsidiary of Kindred Healthcare Operating, Inc.
EarthLink is an IT services, network and communications provider headquartered in Atlanta, Georgia. American Global Logistics offers high tech solutions for air and ocean import/export plus domestic transportation for end-to-end logistics. Rheem Manufacturing Company is an American privately held manufacturer that produces residential and commercial water heaters and boilers, as well as heating, ventilating and air conditioning equipment. Heartland Payment Systems, Inc. was a Fortune 1000 U.S.-based payment processing and technology provider. Founded in 1997, Heartland Payment Systems' last headquarters where in Princeton, NJ before it got bought by Global Payments.